Fall is a fun, exciting, and busy time for gardeners. Many gardening activities are done now. Think of fall as the start of next year's growing season, not the end of this gardening year. 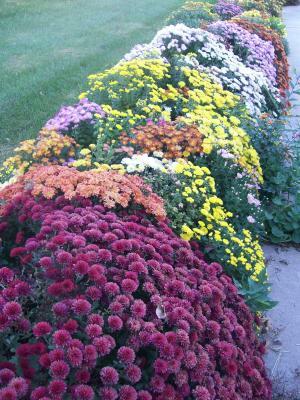 Mums (chrysanthemums to some) are a very popular fall flowering plant. They have been described as "the last smile of the departing year" because it takes a pretty good frost to discourage a mum! The range of mum types available is never-ending and the choices for the gardener are many. 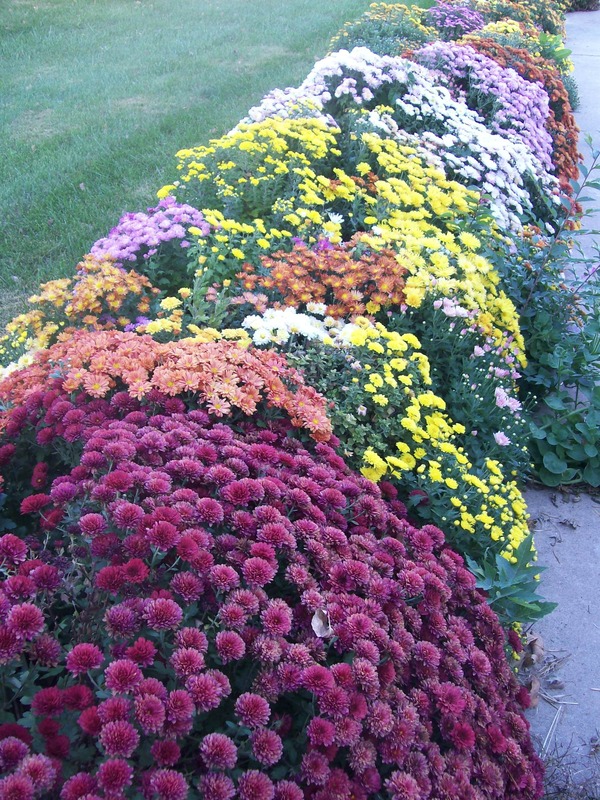 Mums may be transplanted while in bloom, which makes them useful for instant landscapes in the fall. Look for hardy mums if you want them to come back next year, as some mum types will not overwinter here. The potted plants should be put into the ground before the soils get too cold. This allows the plant to put on some additional roots before winter. To help the plants overwinter, mulch them after the first hard freeze. 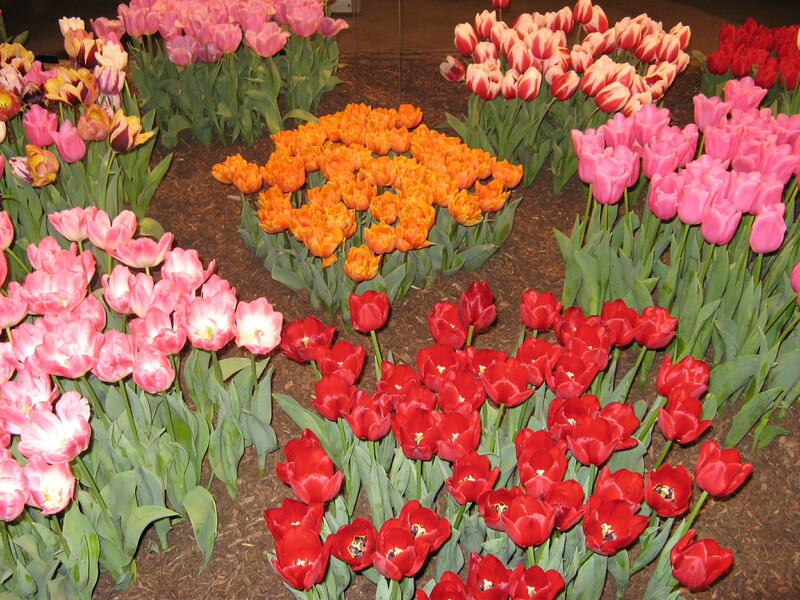 This is the time to set out the spring flowering bulbs: tulips, daffodils, crocus, and such. If available, try some of the other small flowering bulbs too such as anemones, snowdrops, and winter aconite. It may seem like work now, but next spring you'll rejoice at the beautiful results. Buy your bulbs now while the selection is good, but if possible, hold off planting them until late October. The ideal planting time is about four weeks before the ground freezes. This allows the bulb to grow some roots before winter. For best results, follow all package directions. The most important part of bulb planting is proper depth. 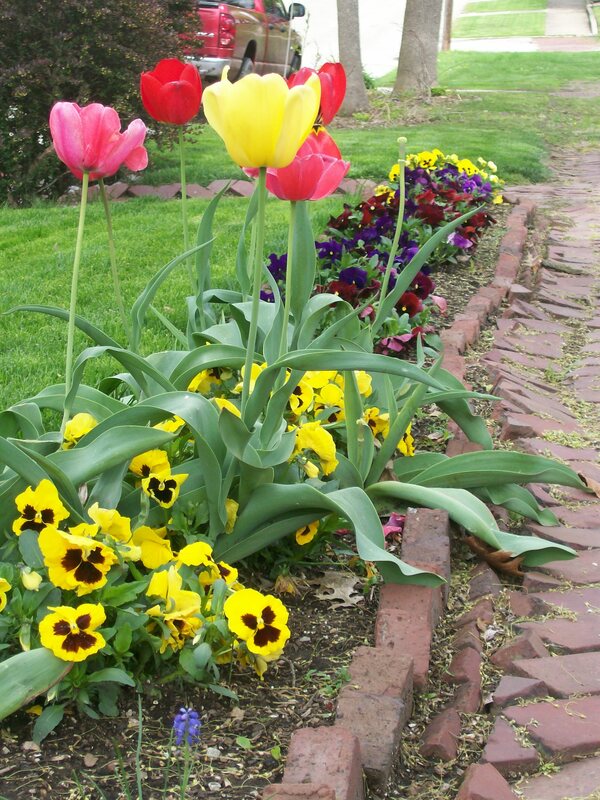 As a rule of thumb, plant the bulb twice as deep as it is wide. Now is the best time to fertilize your trees and shrubs. Fall fertilizer applications provide nutrients that are absorbed by plants and stored until they are needed for growth. Even though the top of the plant appears dormant, the roots continue to grow and take up nutrients. Make sure you never do something to a plant this time of year that will result in new growth. New growth this late in the season will not harden before winter and could be susceptible to frost damage. Fertilization alone, at this time of the year, does not result in additional new growth. Plants by this time have already set their terminal buds and are starting their hardening process. However, pruning combined with fertilization will result in new growth and frost damage is likely. Therefore, fertilize in the fall but wait until the plants are fully dormant before pruning.